Coconut Oil Tips, Benefits, Uses, Facts and Recipes! Does Coconut Oil Whiten Teeth? / Reviews / What is the Best Coconut Oil to Buy in 2018? What is the Best Coconut Oil to Buy in 2018? Are your friends still shouting from the rooftops about the amazing benefits of coconut oil? If so, admit it. You’re curious. You want to get boosted energy, enjoy smooth skin and healthy hair, and slim down too. You’re also right to be selective, because research has set standards for the best coconut oil to buy for those benefits to work. In fact, some coconut oils are actually degraded by processing. Reap the superfood’s rewards the right way, right now, with our easy guide! Here are our top three brand picks of 2017-2018, including our #1 favorite in the middle. Then, read on for the science-backed standards we used to reach our final decision. To test coconut oils for this review, we used our own purchases, personal experiences, and thorough research. No manufacturers have ever sent us any free products. 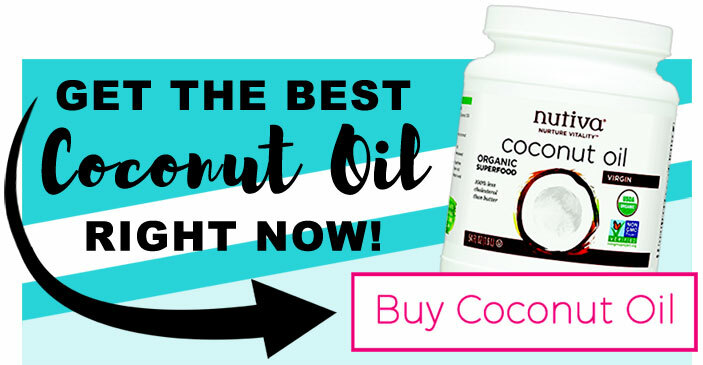 We are long-time consumers of coconut oil — and the enthusiasts behind this site for five years! Our criteria are based on scientifically proven health requirements, pleasant taste, purity, and value. With this easy, fast guide, you’ll see our standards for the very best coconut oil. Plus, you’ll get fun tips on how to use it! So jump in for the scoop about a good coconut oil that’s great for you! What is the Best Coconut Oil to Buy? Put simply, the best coconut oil for both food and beauty applications will be unrefined, cold-pressed, and free of additives. All three top picks meet these standards. You can get our top pick here. Choosing an unrefined coconut oil is paramount. For clarity, this is also referred to as virgin coconut oil. Unrefined, virgin coconut oil is considered to be the best because it has its healthy compounds in tact. Refined oils, on the other hand, are bleached and deodorized, which may strip away phenols that boost coconut oil’s antioxidant power. They are nutritionally similar, but there is evidence that unrefined is more beneficial. In other words, it’s usually considered best to get virgin, unrefined coconut oil. What does unrefined coconut oil mean? Unrefined coconut oil has not been bleached and deodorized. When examining labels, you’ll notice that coconut oil labels will say things like virgin, extra-virgin, or unrefined. This can lead to confusion for consumers wondering if there is a difference. However, these are all marketing terms. They are all the same thing — and all good signs you are picking a pure product. There is another side to the coin, though. While unrefined coconut oil has a coconut taste and aroma, refined does not. Therefore, some uses may call for refined or unrefined. Some people don’t like coconut taste at all. Refined coconut oil also has a higher smoke point at 400 degrees F. Virgin oil is at 350, which is still high. Here is the secret: In general you want unrefined. But if you do go with refined oil for any reason, make sure it is steam-refined. That way, it hasn’t been treated with harsh chemicals, bleached, and deodorized. It hasn’t lost its antioxidant power. Nutiva’s refined products meet these standards. For flavor, brands vary in taste. Our recommended brand choices are unrefined and keep their flavor, but are light and enjoyable. Pin this! Get our favorite coconut oil here. Steer clear of hydrogenated coconut oil. If it’s been hydrogenated, it’s been treated with extremely high temperatures that make the compounds unstable. Unfortunately, that creates trans fats. Naturally, coconut oil has a unique type of fat: a unique saturated fat called a medium chain triglyceride. This awesome fatty acid actually boosts metabolism and provides a quick burst of energy to the body. This is one part of why you hear so much about coconut oil’s weight loss benefits. Make sure they are in tact by making sure your product is non-hydrogenated. As a quick side note, hydrogenation isn’t necessary for coconut oil. It is used to turn liquid vegetable oils into a fat, and help them withstand high temperatures. It also prolongs shelf life. But coconut oil already has a shelf life of more than two years. Plus, it is good for cooking at higher temperatures than other oils like olive oil. It’s all thanks to those medium-chain saturated fats, which in addition to providing energy, naturally fight bacteria and other microbes. What is lauric acid in coconut oil? Lauric acid is responsible for many of coconut oil’s precious healing powers. This substance is also found in mother’s milk, and supports newborn babies’ immune function. It is antibacterial, antiviral, antimicrobial, and anti-inflammatory. Except for mother’s milk and coconut oil, it is rare in nature. A high-quality coconut oil is as much as 50% lauric acid. Another way to ensure your oil’s natural compounds are not degraded is to purchase cold-pressed coconut oil. Studies conflict with each other on cold-pressed or heat-extraction methods. It seems each has its own benefits. However, coconut oil cold-pressed from young green coconuts is usually considered ideal for purity and flavor. What is cold-pressed coconut oil? Coconut oil that is cold-pressed was extracted from the coconut meat without using more heat than necessary. This is done to preserve the quality and taste. To qualify, the extraction process can’t exceed 120 degrees Farhenheit. Cold-pressed coconut oil from young, green coconuts is considered to be superior for antioxidant properties and healthfulness. Know what you’re getting: Some producers use high heat for the faster turn-around time and higher yield. Even if you need to pay more for cold-pressed, it is worth it. Our number-one coconut oil choice is unrefined, cold-pressed, and non-hydrogenated. It also has a delicious aroma. See our favorite here. Check the labels and ingredients. Note that some brand labels will include the buzzword “organic” even though they may still contain contaminants, so check to be sure. Additionally, note that there is no distinction between “Virgin” or “Extra Virgin” coconut oil — it is just a marketing term for any unrefined coconut oil. Some people always prefer glass jars, but they are not necessary. If it’s plastic, just make sure the plastic used is BPA-free. Nutiva Virgin Coconut Oil, for example, comes in safe, BPA-free plastic containers. They also have glass jars available for those who want them. So those are the five things you should look for in a great tasting, healthy coconut oil! Choosing the right oil will make all the difference whether you are using it for food, home remedies, or beauty. What is the taste of coconut oil? Pure, unrefined coconut oil will usually have a mild, pleasant taste and aroma of coconut. In fact, if you use enough, it lends a light tropical flavor to recipes like sweets and smoothies. However, this varies between brands. The ones we selected are mild and enjoyable. How does coconut oil smell? Using coconut oil as a skin moisturizer after the shower leaves a light nutty scent similar to the smell of a macadamia nut cookie. Which type of coconut oil doesn’t taste like coconut? There are different ways to get coconut oil that doesn’t taste like coconut. For example, Nutiva has butter-flavored coconut oil. However, most oils that don’t taste like coconut are refined, but refined is not as ideal. How much coconut oil should I eat? You should start small and work up to a healthy amount for your body weight. That’s usually somewhere between one to three tablespoons per day. However, it’s important to keep in mind that each tablespoon is 120 calories, and consider that when planning your overall diet. Even getting a little bit is beneficial. Studies have even noted that coconut oil can help women shed excess abdominal fat. Which coconut oil is best for skin and hair? Although there are cosmetic-grade coconut oils on the market, the best coconut oil for skin and hair DIYs is usually unrefined, virgin coconut oil. As a bonus, that way you also have healthy food-grade oil on hand. For mass manufacturing of cosmetic products, however, refined oil may be more cost-effective. What’s the best coconut oil brand for hair growth? The best coconut oil brand for hair growth would meet the same standards as a good food-grade coconut oil. To make it particularly effective, try a coconut oil hair mask combined with castor oil. For an example, we have a coconut oil recipe for eyelash growth here. Is cold-pressed coconut oil good for you? Cold-pressed coconut oil is considered ideal for flavor and purity. By being careful not to overheat the oil, manufacturers ensure not only taste, but that the fatty acids that give coconut oil its antimicrobial properties are fully intact. Cold-pressed coconut oil can be very good for you. What’s the best coconut oil brand for skin and hair? The same qualities that make the best coconut oil for food also are perfect for skin and hair. Our top pick includes two jars in one order, so you can have one for beauty and one for food. It’s perfect for the job. Any unrefined, cold-pressed oil will provide many uses and benefits. Where can I buy organic, cold-pressed coconut oil in India? A lot of readers have asked where to buy good quality coconut oil in India, and what markets carry it. Coconut oil is a popular ingredient and conditioning hair treatment in India. This coconut oil at the Amazon India store looks like it’s good, but we haven’t tried it. If you like, you can browse the links provided on this page. We set it up so that you will automatically be redirected to the Amazon India store if you are in India. Marina, A.M., Che Man, Y.B., Nazimah, S.A.H. et al. “Chemical Properties of Virgin Coconut Oil,” Journal of the American Oil Chemists’ Society (2009). Assunção, M.L., Ferreira, H.S., dos Santos, A.F. et al. “Effects of Dietary Supplementation with Coconut Oil on the Biochemical and Anthropometric Profiles of Women Presenting Abdominal Obesity.” Lipids (2009) 44: 593. K.G. Nevin, T. R. “Virgin coconut oil supplemented diet increases the antioxidant status in rats.” Food Chemistry (2006). Note: Amazon and the Amazon logo are trademarks of Amazon.com, Inc. or its affiliates. This Website is a participant in the Amazon Services LLC Associates Program, an affiliate advertising program designed to provide a means for sites to earn advertising fees by advertising and linking to Amazon.com. Reviews are based on personal experience, five years of running this site, and thorough research. P.S. You can get the perfect jar of coconut oil for you by following any of the links in the review chart above. If you want a different size than what you see, click on the brand name and browse their listings for another size. They carry small jars, two-packs, and bulk coconut oil gallons and tubs. Last chance: Indulge your curiosity and start reaping the rewards of coconut oil now! You’ll love it! Nutiva came out as our top pick. They are a trustworthy brand that strives to provide healthful ingredients. This coconut oil is no exception! It meets all the health standards we were looking for and tastes and blends wonderfully, too. Enjoy yours now, and the benefits in the near future!